You don’t have to offend anyone with your bad breath whether you just had a spicy meal or you are on a rush that you had no time to reach for that bottle of mouthwash. A quick scanning of the spice rack or medicine cabinet lets you come across certain herbs that help make your breath smell fresh and your self-confidence to shine once more. It’s no secret that so many herbs are useful outside of the kitchen, in particular those offering amazing health benefits and medicinal properties. Certain herbs are also very good at killing off odor-causing microbes in the mouth, thus not only masking foul smell but also eliminating the root cause of bad breath! Read on to know which herbs you should grab if brushing your teeth, gargling with mouthwash or chewing gum is not an available option. You can find this herb in the list of ingredients of so many toothpastes, mouth rinses and chewing gums. This doesn’t really come as a surprise because peppermint is an amazing breath freshener! The herb gives your mouth a clean feeling in a flash. What’s more, certain studies have shown that peppermint is actually better in zapping bath breath than certain mouthwashes containing chemicals. Because eucalyptus is similar to peppermint in a lot of things, the herb may also be used for getting rid of bad breath. It is very good at eliminating sulfur compounds in the mouth, thus it is capable of making your breath smell nice and clean. 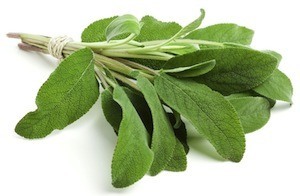 Popularly used for making scrumptious stews and soups, sage is an herb that may be used for making your breath fresh. For many centuries now, sage has been employed outside the kitchen by traditional healers due to its superb medicinal and therapeutic properties. You may also take advantage of this well-known herb to boost your self-confidence each time you have to shoot the breeze with someone. It’s no secret that tea tree oil can kill off a host of microorganisms, from bacteria, viruses to fungi. That is why this potent antimicrobial herb may also be used for eliminating bad breath. It’s exactly for this reason why you may come across certain mouthwashes listing tea tree oil as one of their active ingredients. Another herb that helps get rid of bad breath is myrrh, thanks to its ability to wipe out odor-causing bacteria. The spice also leaves long-lasting bacteria-killing action in your mouth, allowing you to enjoy fresh breath for many hours. If your spice rack features a bottle of cloves, then you have no reason to offend anyone with your bad breath! That’s because these versatile spices that may be used for making sweet and hot dishes taste extraordinary are good at making your mouth smell nicer. In fact, chewing on a few pieces of cloves may be beneficial for individuals who cannot tolerate mouth rinses containing harsh chemicals. Because of the naturally-existing alcohols in pine needles, these herbs make for very powerful breath fresheners! Experts say that pine needles also help prevent mouth infections and other related problems caused by bacteria.